Today I have an appointment with the doctor. It's just one of those "regular" yearly kind of appointments which for me is anything but regular since I haven't been to one in more years than I care to admit. It just got me thinking about the word regular, a word we use without much thought. 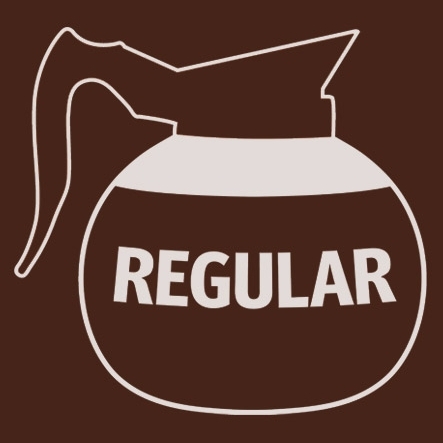 Regular isn’t really one of my favorite words. It's not that I don't like it. Now, there are some words I don’t like. Most of them are four letter words. You know like, hurt, pain, ouch, etc. Got ya didn’t I? 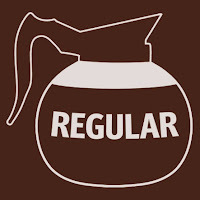 No the word regular just doesn’t provoke excitement or anticipation or expectation. It’s more like same old, same old or just the norm. Not that there is anything wrong with that. Some people like things regular. Some people, my hubby, Lawrence for example, don't want you messing with their regular. He won't even think about trying flavored coffee. Recently we were told about a new restaurant that had "gourmet burgers." His reaction to the news was I don't want someone messing up my burger. He just knows what he likes and that's OK.
Now I don’t know about you but my life is anything but regular. There are times when I would gladly welcome a regular day, whatever that is. In my mind it would be smooth, no emergencies, maybe a few “situations” I like to call them, but nothing really major, just a nice day with nothing out of the ordinary. Right, good luck with that. As if having a husband, six kids, 17 grandchildren and 2 dogs equals ordinary. If my life is anything it’s certainly not boring. But then as regularly happens God reminds me of His word. Hebrews 13:8 tells us Jesus Christ is the same yesterday and today and forever. God never changes. He is the same every day. His love, his mercy, his grace, his favor, his promises are ours on a regular basis. His mercies are new every morning and He loads us daily with benefits. (Lamentations 3:22 & Psalm 68:19) Wow, that gives new meaning to the word regular. It's God's plan for us, our new normal, experiencing His goodness every day on a regular basis. That's my hope for you today friends. So the next time you are having “one of those days” take a little prayer break and pray this simple prayer, Dear God…I’ll take your regular. You'll be glad you did! It doesn't make sense...but it works! It doesn’t make sense…but it works! Friday is my day off. Well that’s really a stretch to call it my day off as is the case with most of us these days. It’s really the day I don’t have to get up, get ready for work and go to the office. Instead, I get to take my time and choose what I’m going to do that day. Translated that usually means, which chores get done or errands are run. Well, today I woke up to an emergency. My Keurig decided to quit right in the middle of my first cup of coffee. It turned it on just like always, lights started blinking just like always, water heated up just like always, coffee started pouring out just like always, and then right in the middle of my cup it quit. Talk about a wake up call, I could sense the panic beginning to set in. My initial thought was what will I do, followed by a rush of fixes. Should I rush out to McDonalds and grab a couple of cups? 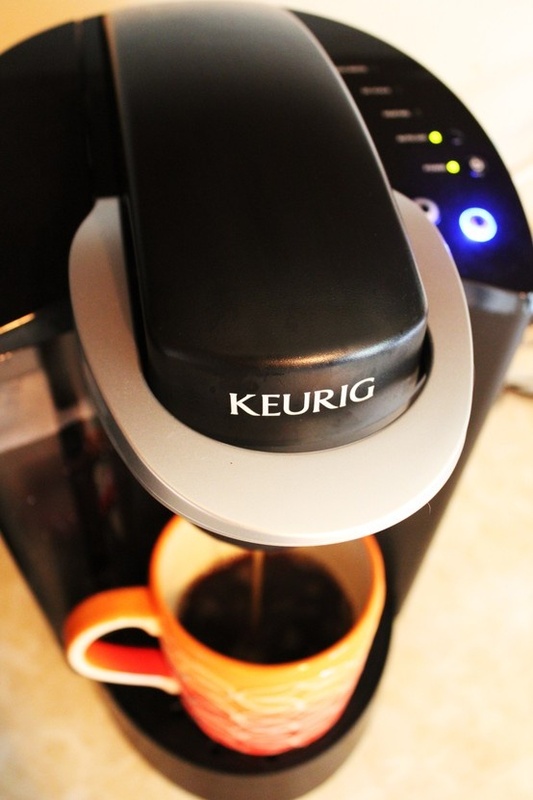 Does Walmart sell Keurigs? Not having my morning coffee is not an option for me. And then I remembered. I have another coffee maker right there sitting on my counter. The old-fashioned drip kind, that I use these days to make ice tea. Sweet tea I might add, very sweet tea, good ole southern sweet iced tea. In the south we don’t have to say iced but just to clear up any misconceptions I threw that in. Back to my emergency, thankfully I had some ground coffee left from our beach vacation and I made a pot. It seemed to take an eternity to make an entire pot but finally the beep came and I made myself a wonderful cup. I drink my coffee light with 4 tablespoons of fat free half n half. No sugar, I reserve that for my sweet tea. If you know me very well you can guess what I did next. I grabbed my computer and sat down to enjoy my coffee and Googled, you guessed it, how to fix a Keurig. I Google EVERYTHING! I found a lot of you tube videos on the subject so this wasn’t the first time this happened to someone. That made me feel better just knowing I wasn’t alone. They were pretty interesting but the third one I watched made me LOL. This was the instructions. Go over to your machine. Remove the lid from the water reservoir. Make a fist and hit hard toward the back where there is a little white plastic spout sort of thing. Like I said it made me laugh but I thought, why not? So that’s exactly what I did. I took the lid off and gave my Keurig a good whack in the spot given in the instructions and voila, it worked. I laughed and said to the Lord, well so much for quiet time and coffee. 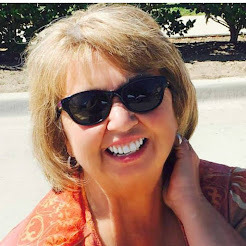 You see, I just set up this blog last night and ask the Lord to give me a post for it. I couldn’t wait to hear what He was going to say to me this morning but then the coffee emergency happened and time just got away. And then He said…it doesn’t make sense but it works. I smiled and said I get it Lord. Maybe like me you are faced today with some emergencies in your life. Some may be big, some small, but like me you need instructions on what to say, what to pray or what to do. Go to the Lord. Ask Him what you should do. Ask Him what will work. And then don’t be surprised by the instructions. It may not make sense but it will work. Isaiah 55:8-9 gives us a head’s up about this. It says, “For my thoughts are not your thoughts, neither are your ways my ways,” declares the Lord. “As the heavens are higher than the earth, so are my ways higher than your ways and my thoughts than your thoughts. Mary gave us good advice in the beginning of Jesus ministry. Remember when they were at the wedding and the wine ran out? What did she tell the servants? John 2:5 gives us the answer. She said, whatever he tells you to do, do it. I’m sure it didn’t make sense to the servants to fill the pots with water. They were out of wine not water. But the servants followed his instruction and voila, it worked. Jesus turned the water into wine and not just any wine, but wine that was better than what they had before. Whatever emergency you are facing God has the answer. I pray you will hear his instruction and that you will be reminded as Mary said, whatever he tells you to do, do it. It may not make sense…but it will work. There is always hope in God.